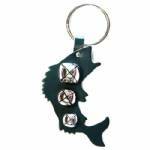 Leaping fish door hanger, 6" wide and 9" tall, in dark green leather and ornamented with silver- or gold-tone jingle bells ranging from 1" to 1 1/4" diameter. 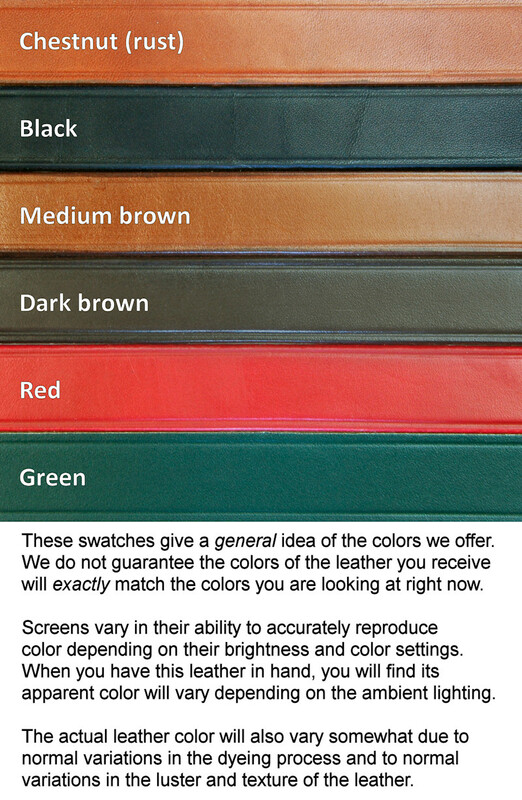 The green for these sale straps is slightly darker than the green we currently stock. The hanging ring is the same color as the bells. It is 2 1/2" across the inside, sized to slip over most residential door knobs. It also slips over a tall bottle of your favorite beverage -- click "See more images" for examples.